As you can see, the two cases are priced equal to their grey counterpart, coming in at $20. We're still waiting to see the rest of colors, along with the other accessories (c'mon, pogo dock! ), so maybe these new arrivals are a good sign. Until then, though, this duo should make great baby shower gifts for the expecting geek. Update: Looks like they're in stock now. 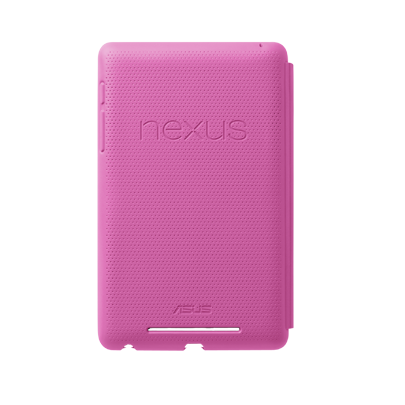 You can get one to go along with your shiny new 32GB Nexus 7!